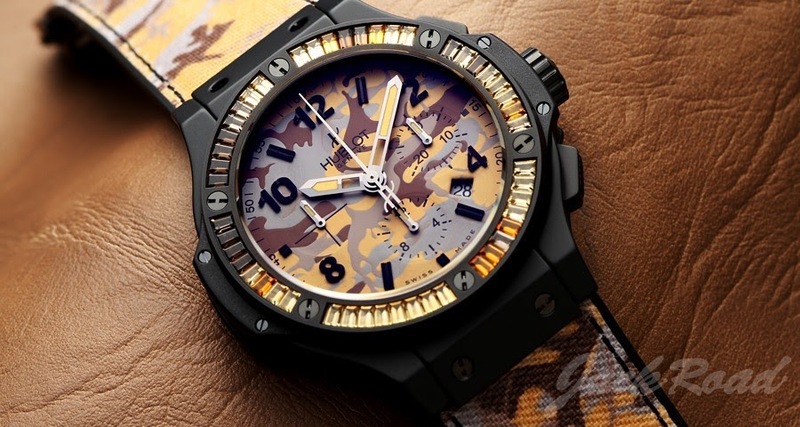 Hublot - Need some advice on a Hublot! Need some advice on a Hublot! My wife has really taken to the Commando Desert Bang Baguette (pic enclosed). She loves big watches, she already has a 45mm white ceramic Spirit of Big Bang. I'm thinking of surprising her with a Commando but my only concern is the durability of the PVD Titanium. As far as I know, the case is a Ceramic & PVD Titanium mix, but I don't know which of those the bezel and top part of the case are? If it's PVD Titanium I am worried about wearing through the finish down to the underlying metal. My wife does not abuse her watches, but she doesn't baby them either. This watch will go into daily rotation with two other pieces, so probably 100 or so days a year wear. I say go for it. I think you can see the picture. Awesome, thanks for the additional information! !